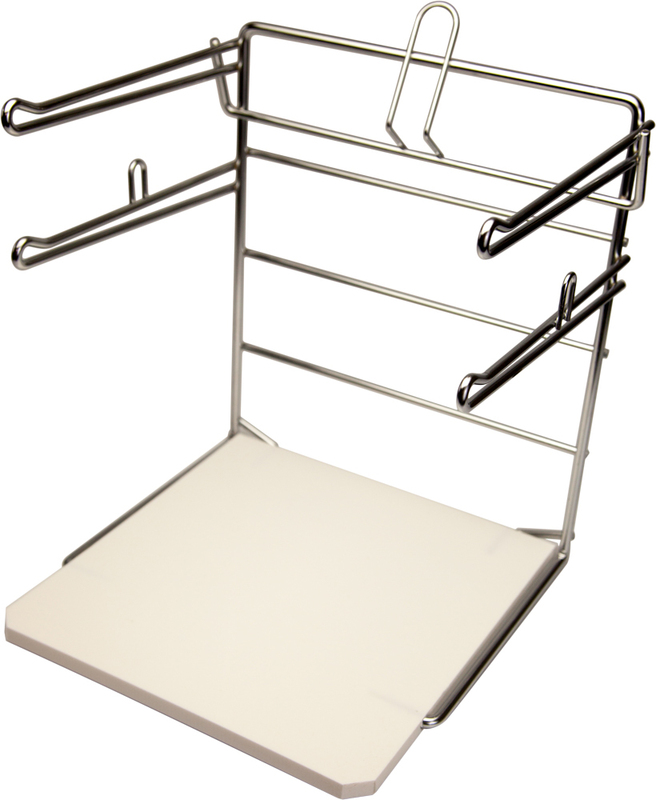 Our T-Shirt Bag Dispenser Rack is made of a chromed finish metal frame and a non scratching stable polyethylene base. Often the chrome finish is mistaken for stainless steel. The base can be easily drilled for permanent mounting. It can hold three different bag sizes at one time. 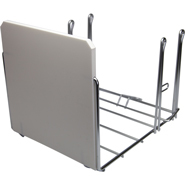 The upper arm design permits one-handed opening and loading of standard plastic T-shirt bags while smaller bags are suspended on the lower arms. 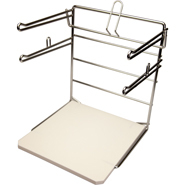 This T-shirt Bag Dispenser holds up to 100 T-Shirt bags. 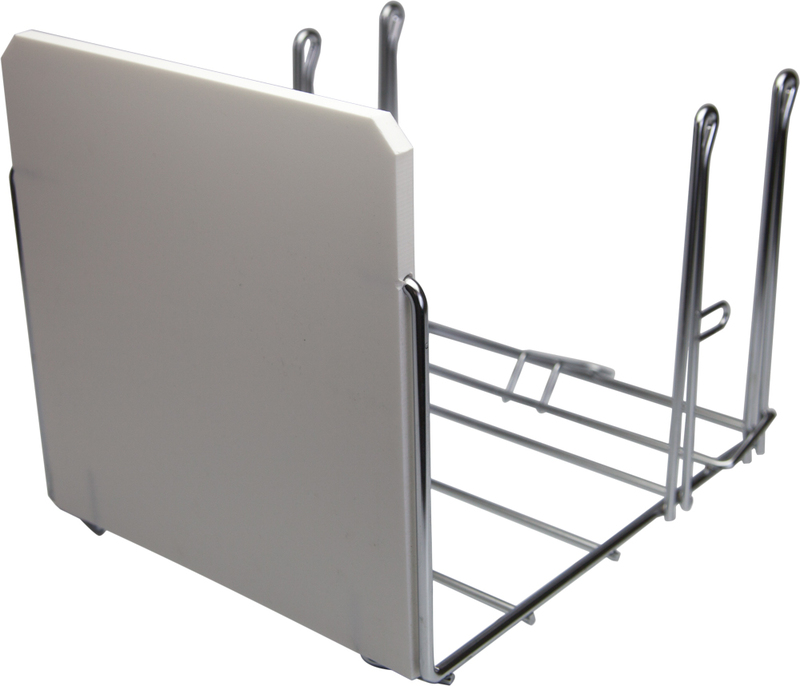 Mounts beside a display case or near a cash register for easy accessibility. Dispensers for plastic shopping bags make the quickness and efficiency of your operations run smoothly, just like you see in your local grocery store. The outside dimensions measure 13" Wide x 15.5" Tall x 12" Deep.